Ann, Judy and Eleanor clean out the roots of the old invasive non-native Leatherleaf mahonia at the Kick Off! I am pleased to announce that the chapter has chosen a volunteer project to be a central focus for our whole chapter in the next 12 months. How did we select a focus project? We chose from projects that would utilize a broad array of member skills and interests that could complete a discreet project in 12 months. Our hope is that every member will consider how she or he can get involved in some way to help the chapter achieve this goal. Even if you just help a wee little bit. And there are some nice juicy sub-projects for those of you who can help out more. This year’s project is going to be creating and installing a Micro-Habitat Demonstration Garden at the front entrance of the Wildlife Center of Virginia, in Waynesboro VA. Please see this flyer about the project and hold the work dates in your calender. We’ll be starting in October! For those of you who cannot attend these dates– there are other ways to get involved. I’ll be sharing that in the near future. I look forward to working, learning and having fun with you all in the upcoming year. Click on this image to launch Kate’s excellent Powerpoint Presentation about the Wildlife Project. Contact Kate, goatherderkate[at]yahoo.com to join up! She will find a way for you to contribute. A diverse range of citizens bring over 2500 injured animals through the front doors of the Center every year. This entrance garden will demonstrate some ideas for native gardens for wild-life and wildlife foods people can integrate into their habitats at home. There may also be the possibility of working with the Center to install a sustainable grove of seedlings to be harvested for fawn and bear browse. Other possibilities include a shrub screen to isolate the bears from walking paths, and bank stabilization planting to manage runoff. The full scope of possibilities for involvement are still being developed. Wild Patients at the Center will get a few additional wild crops added to their diets—true com-fort foods for those far from home. Volunteers will benefit from brain and body exercise and learn some permaculture and water element techniques, while learning about the flora that our local fauna eat. 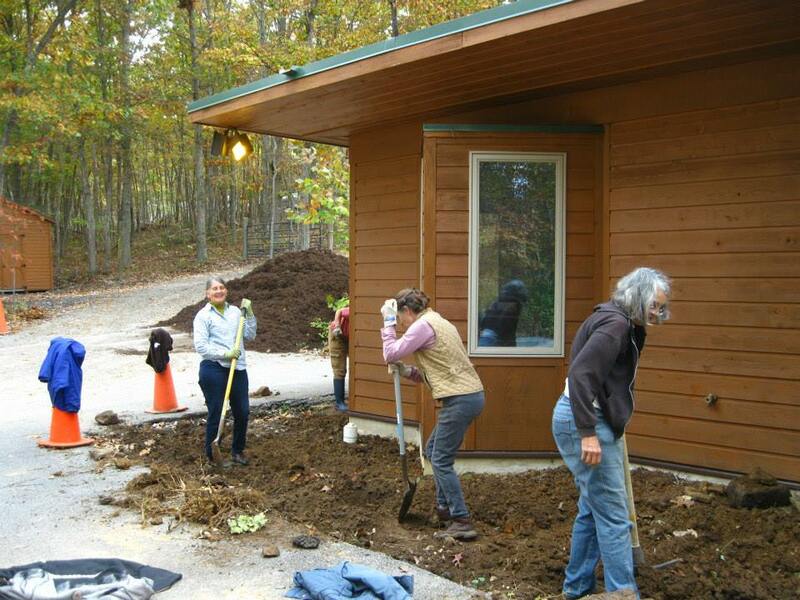 The Wildlife Center will benefit from having a beautiful native garden that is a certified wildlife habitat! The Public will have another local tool to learn about eco-friendly gardening practices. Saturday, October 19, 2013 (Rain date is Oct. 26) 9am-3pm. The Kick Off! Clean out and prep the bed in morning, work on designing the garden after lunch. Thursday, February 13, 2014 (Rain dates Feb. 20 and 21) 9am-afternoon or any part thereof. Pond digging and Raised Bed installation. Bring a shovel, work gloves and a lunch. POSTPONED to Thursday, February 20 due to winter storm. UPDATE: Due to the snow, the garden bed is not quite ready to be worked this Thursday, Feb. 20. It is still buried under a foot of snow. Thursday Feb. 27th, 9 am until after lunch sometime and bring a sack lunch. — new date. Please bring shovels, gloves for digging the pond, building the raised bed out of stone. Thursday March 6, 9 am until after lunch sometime and bring a sack lunch. — new date. 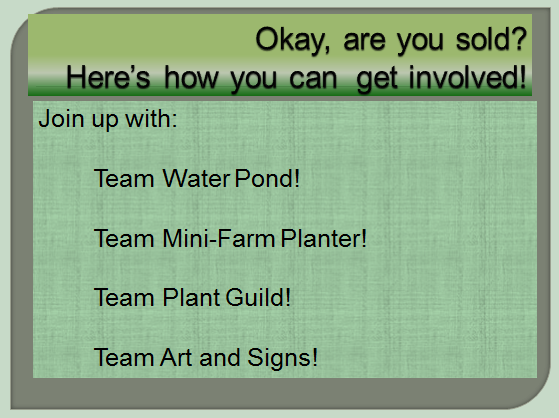 Please bring shovels, gloves for digging the pond, building the raised bed out of stone. CANCELLED due to ground conditions from recent winter storm. Saturday, March 8, 2014 (Rain/snow date is March 15) 9 am- noonish. 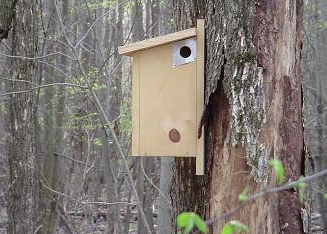 Install nest boxes, and signs. Work on water feature. Lunch provided. Saturday, August 16, 2014 Rain or Shine! 12pm-4pm. Celebration, Advanced Training and Ribbon-Cutting! 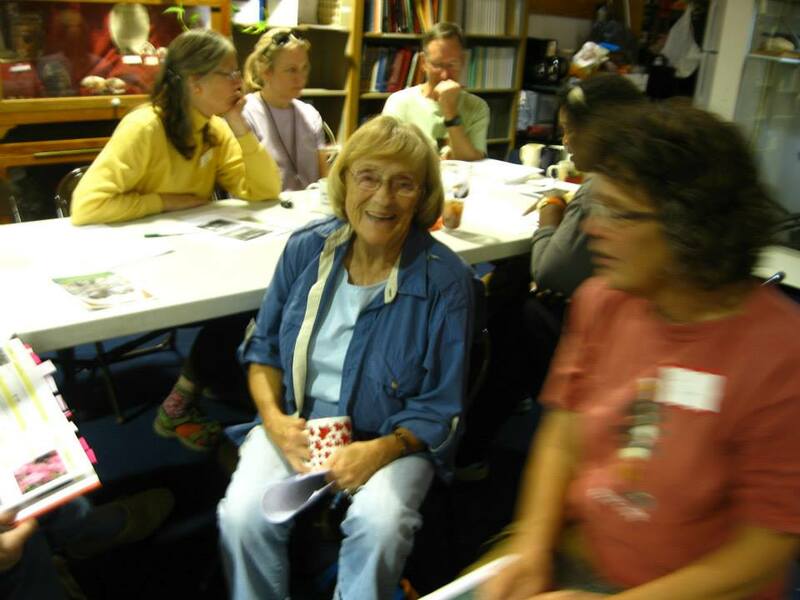 We will come together to celebrate our achievements and get some advanced training in a topic related to wildlife foods and how to take the knowledge of a Wildlife Federation Garden habitat home. Wildlife Center of Virginia in need of a wildlife garden! October 25, 2013 in Focus Project 2013/2014, Projects.